It’s a race to the finish line in Hold Your Horses, the thrilling card and dice game. Roll the dice to “scratch” 4 horses from the field. 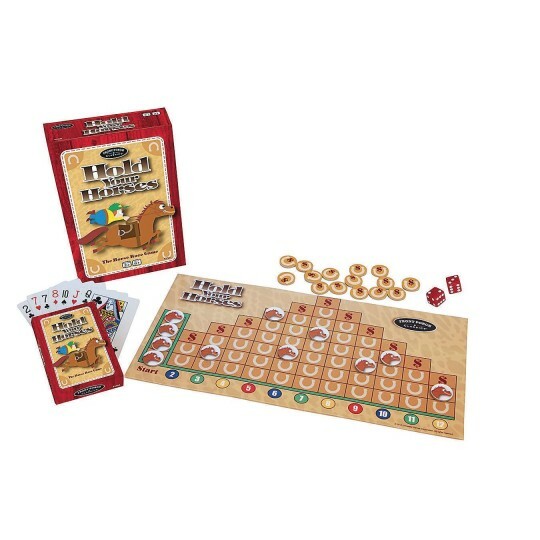 Then continue rolling as you advance your horse along the racetrack. Players holding cards that match the winning horse split the winnings. Designed to engage through laughter, sharing, and building memories. Includes, dice, cards and mini playing board. Fun for 2 or more players.